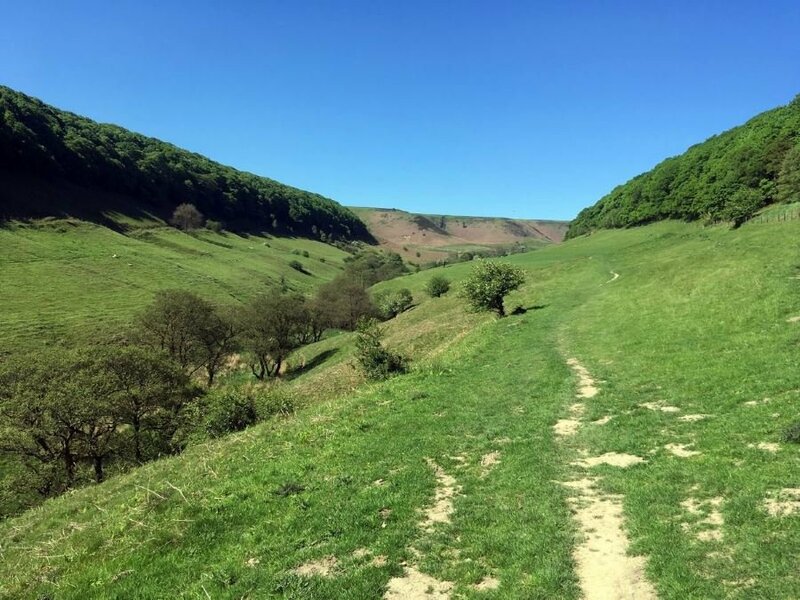 So superbly beautiful from start to finish, this hike is a popular yet peaceful trek through the varied countryside. 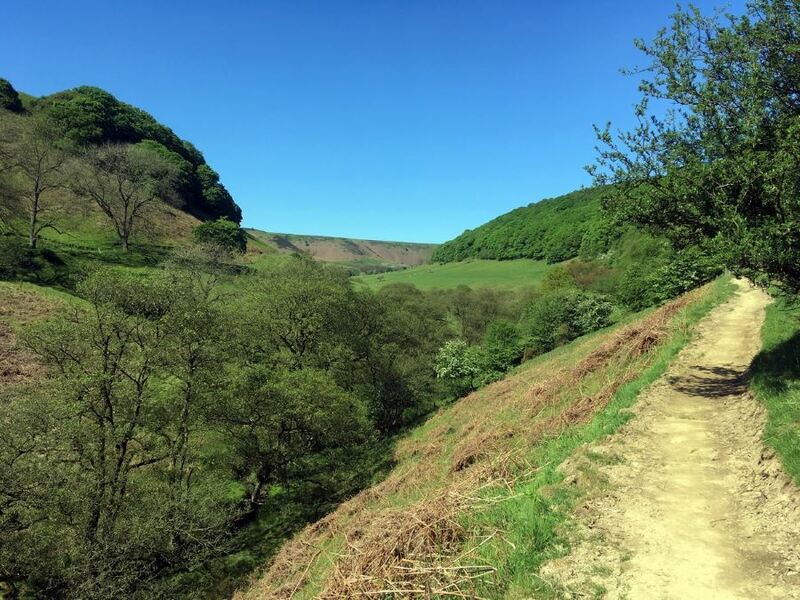 Begin high above a great ravine and continue along the rim of the route towards the village of Levisham. 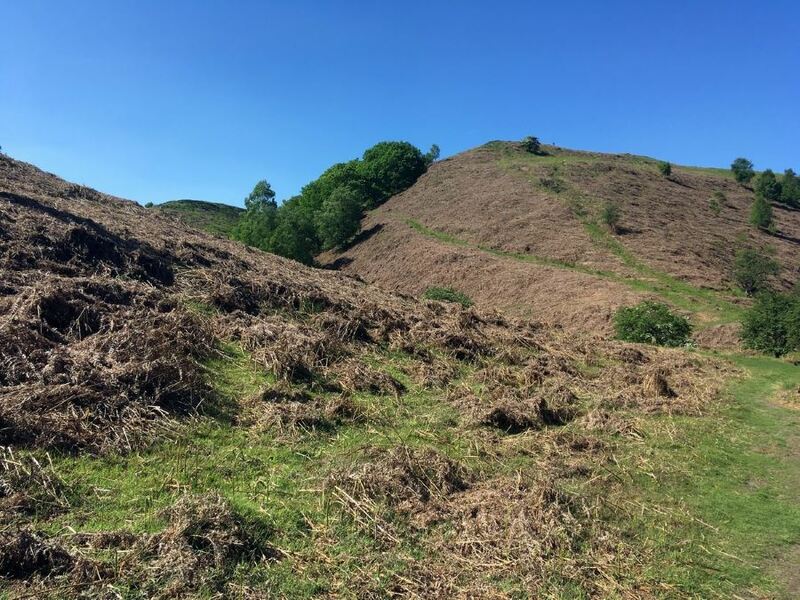 From there, head into the heart of the Hole of Horcum - not to be missed! From Pickering, take the A169 towards Malton. After 12.1km you will see a car park on your right. Park here – the car park costs £2.50 for anything over 2 hours and you will need this time. We’ve always heard good things about this walk but it was more spectacular than imagined. 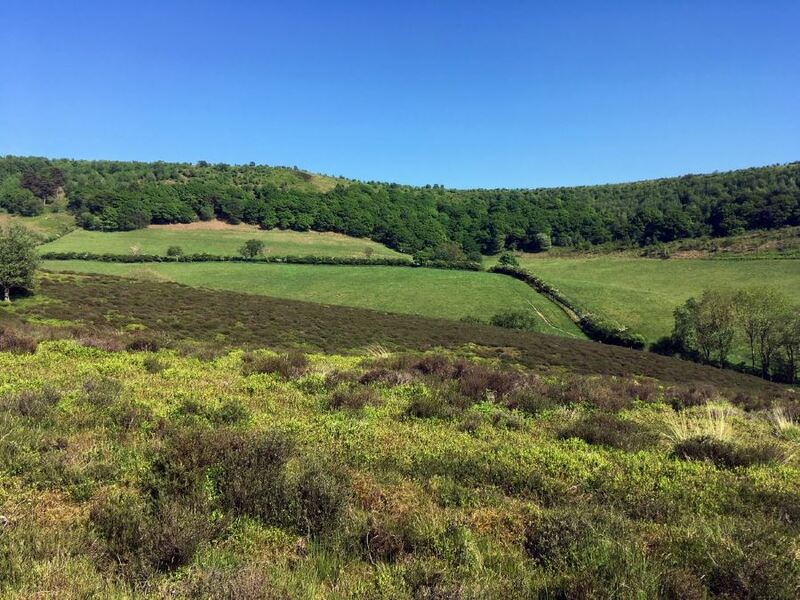 The Hole of Horcum is of course impressive in its own right, but up on the open moorland there are stunning views in all directions and the route back from Levisham is excellent. Definitely go further than the view point that most people seem to get stuck at! From the car park carefully cross the main road and turn right onto a footpath that follows the rim of the Hole of Horcum. Views from here across the Hole of Horcum are spectacular! Some local folk stories claim a giant scooped away the land to make his home. In fact it is a result of melt water eroding the land towards the end of the Ice Age. Skirt along the ridge, climbing the stile that takes you on to the track to keep you high above the hole. 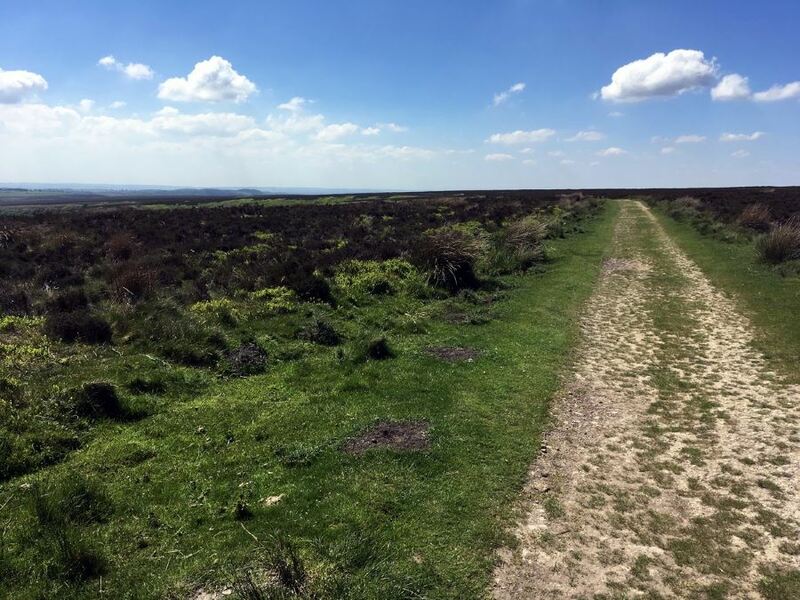 Continue along this broad track across Levisham Moor as it gradually pulls away from the edge. After 3.0km and having passed two small ponds, you’ll arrive at a junction of five paths. Take the second left path, signposted towards Levisham. The grassy track climbs gently up to a gate, exits the moorland and continues onto a land rover track signposted towards Newton-Upon-Rawcliffe. Continue along this track as it turns into a tarmacked road and brings you down into the village of Levisham, just over a 1.0km from the gate. 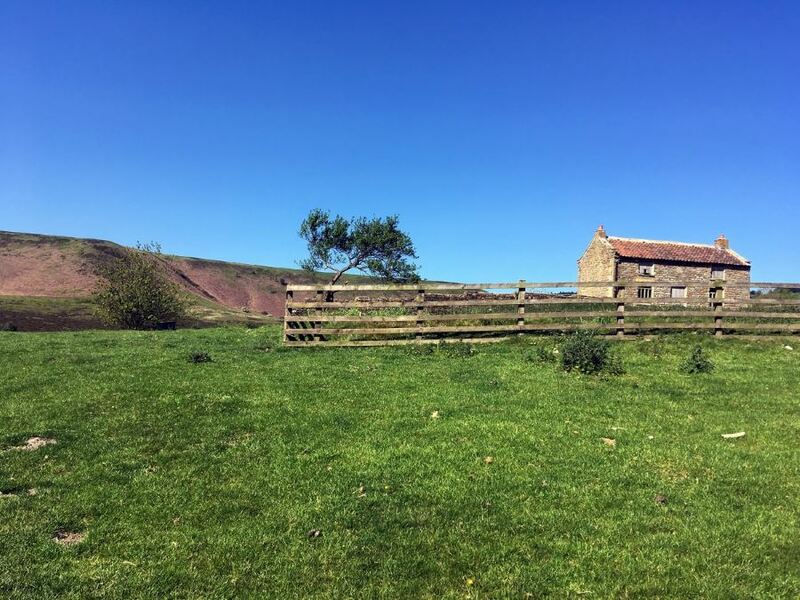 Pass the Horseshoe Inn – an excellent spot for a refuel if required! 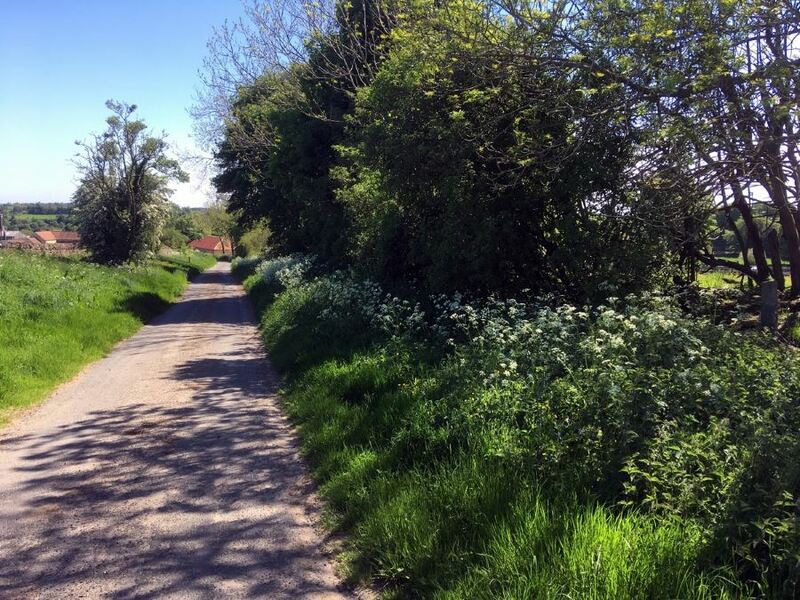 Continue down the main road through the village between grassy verges and the idyllic Yorkshire cottages. Just 20m past the sign warning of the steep decent of the road, there is a public footpath that turns sharply left off the road. Pass the bench following the footpath around to the left. 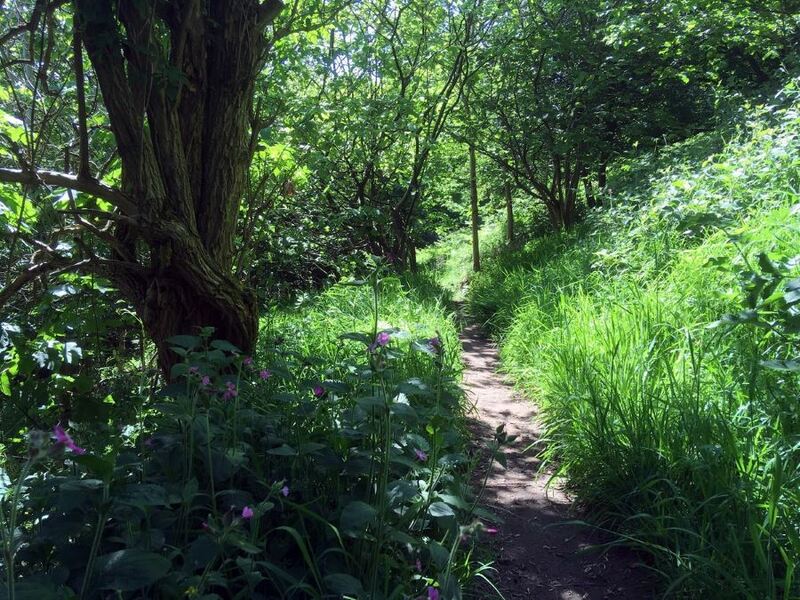 Continue along the footpath as it winds, dips and climbs through a pretty woodland high on the banks above the valley. 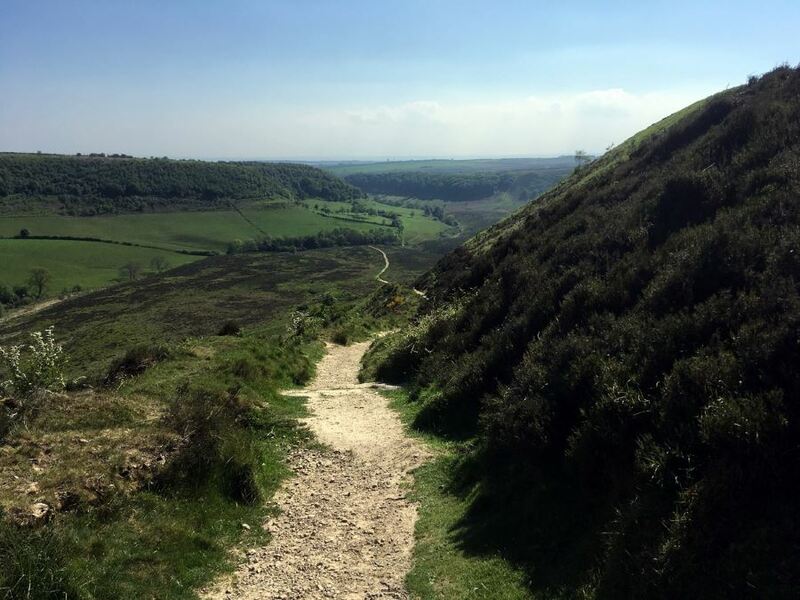 After climbing some steps you soon come to a fork, veering left follow signs to Horcum. Continue along this path for roughly 1.0km until it drops down, out of the woodland, through a gate and brings you to a junction. Follow the sign towards to Hole of Horcum, stepping over a small Beck, and then a second via a small footbridge. Turn immediately left to follow Levisham Beck upstream, the path will gradually veer away and gain height on the stream. Keep ahead on the obvious footpath passing through several gates until finally emerging onto open farmland. 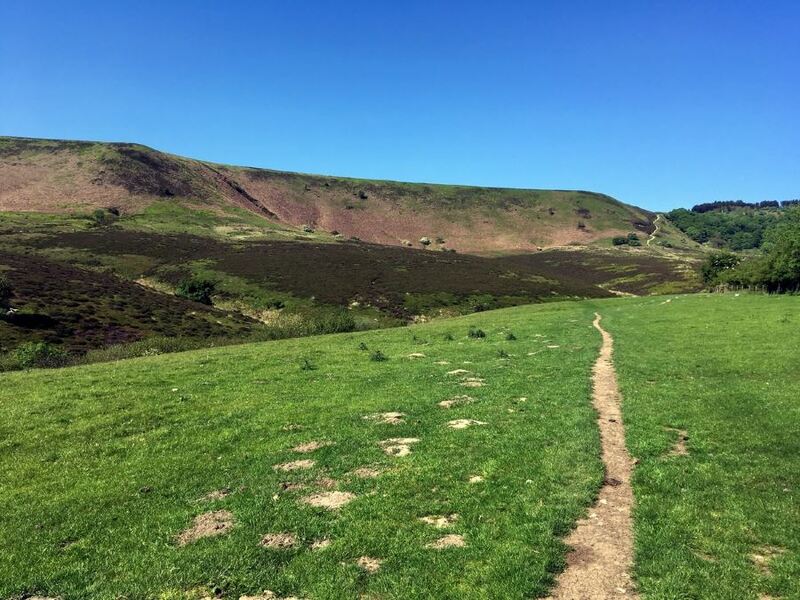 Follow the track across the sloping farmland to bring you in the Hole of Horcum itself, enjoy the unique views in all directions. Soon the path heads towards an abandoned farmhouse. Pass to the left and continue towards the fence line ahead. Turn left just before the fence, ignoring the broken stile and following the arrow directing you down a further 100m to another stile. Cross this onto a gravel track. 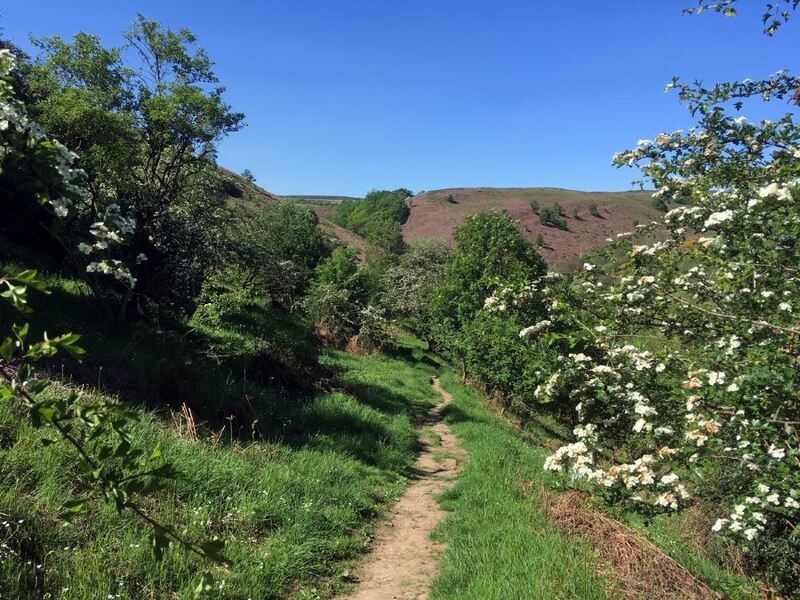 Follow this track as it takes you back up to the top, turn right to rejoin the footpath you started on. Continue along and return to the car park just ahead. Definitely go the extra few miles to Levisham as the route back through the woodland is special. Still not convinced, add in a pit-stop at the Horseshoe Inn at Levisham- cosy country pub with outdoor seating.